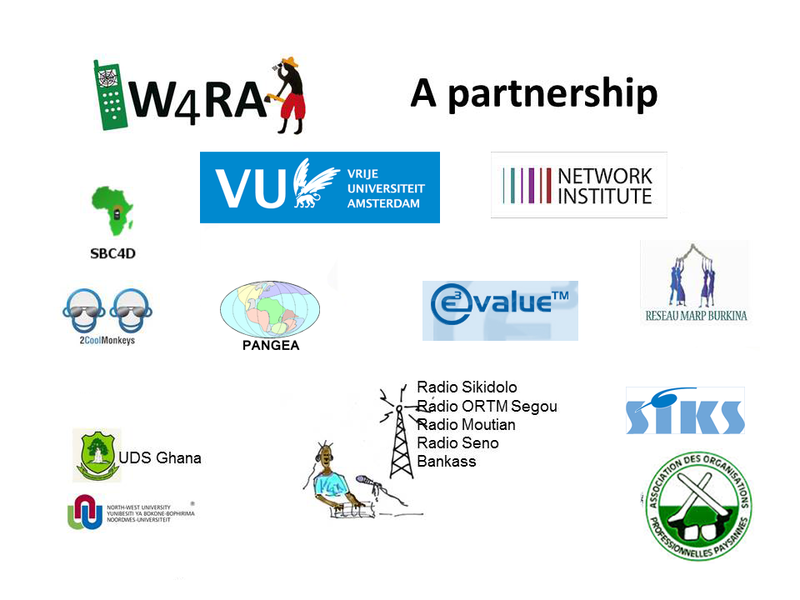 The Network Institute, Computer Science Department and International Office at the VU University Amsterdam organized a symposium on ICT4D, the fast growing field of practice and study how Information and Communication Technologies influence and contribute to social and economic development. International renowned speakers highlighted recent issues, trends and debates regarding ICT4D, from a wide range of experiences, angles, and scientific disciplines. The Symposium aims to elucidate key questions surrounding ICT4D, including: What are successful or promising contemporary approaches to ICT4D? What is the role of ICT in the broader context of development? What has science and academic research to offer? What is the contribution and role of different scientific disciplines, such as computer science and social sciences? 14.15 Tim Unwin: Can ICTs really make a difference to the lives of poor people and marginalised communities? Prof. Dr. Tim Unwin (London, UK) is Secretary General of the Commonwealth Telecommuniactions Organisation, professor of geography at Royal Holloway, University of London, UNESCO Chair in ICT4D, and general editor of the book “ICT4D” (Cambridge University Press, 2009). Dr. Stefan Schlobach (VU Amsterdam, Netherlands) is assistant professor of Artificial Intelligence at VU Amsterdam, and coordinator of the Master Course on ICT4D at VU’s Computer Science Department. Prof. Dr. Mirjam de Bruijn (Leiden University, Netherlands) is professor of contemporary history and anthropology of West and Central Africa, at the African Studies Centre, Faculty of Arts, Leiden University, and led the VICI research program Connecting in Times of Duress: Understanding Communication and Conflict in Middle Africa’s Mobile Margins. Prof. Dr. Saa Dittoh (UDS, Ghana) is professor at the University for Development Studies in Tamale, Ghana, and already for decades leading programs on sustainable agricultural and rural development in northern Ghana. Ms. Wendelien Tuyp (VU Amsterdam, Netherlands) is a staff member of the VU International Office, expert in communication and sustainable land management, and a member of the W4RA team. Mr. Chris Reij (WRI, Washington) is a research fellow of the World Resources Institute in Washington, USA, specialized in sustainable land management, with a long-standing international reputation as a key driver in the launch and expansion of the African Regreening Initiatives (ARI) that today flourish in a variety of countries. Mr. Amadou Tangara (Sahel Eco, Mali) is project manager of Sahel Eco, Mali, a civil society organization focusing on farmer-centered management of natural resources to improve food security and climate resilience in Africa’s drylands; he is a recognized innovator in the bottom-up deployment of ICTs for rural development. Mr. Stéphane Boyera (SBC4D, Toulouse, France) is a consultant in ICT4D, and has been a program manager at W3C and the World Wide Web Foundation; he developed and rolled out many innovative ICT4D Web services in Africa and elsewhere. Prof. Dr. Hans Akkermans (VU Amsterdam, Netherlands) is professor of Business Informatics, founder of The Network Institute, and an initiator of the Web Alliance for Regreening in Africa (W4RA). Dr. Victor de Boer (VU Amsterdam, Netherlands) is assistant professor of Web and Media, especially semantic technologies, and a team member of W4RA. Ms. Anna Bon (VU Amsterdam, Netherlands) is a staff member of the VU International Office, a consultant in ICT and coordinator of the ICT4D course at VU.